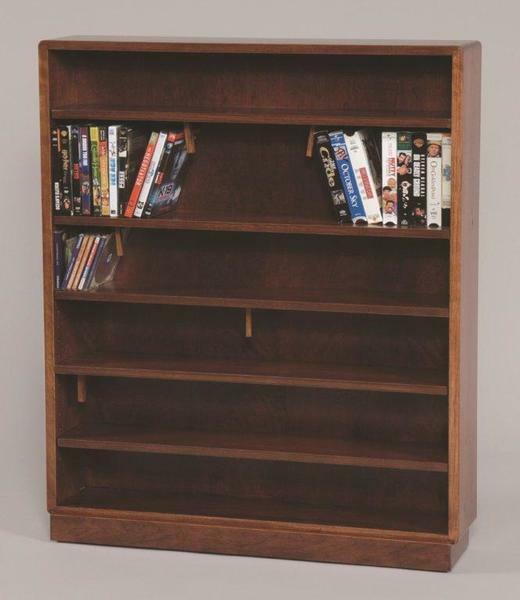 Showcase your CDs, DVDs, cassettes, and video tapes in our Amish Single Large CD Cabinet. This solid wood open cabinet features functional, clean Shaker-style and includes 6 shelves that can hold up to 420 CDs. Built-in wooden pegs help to prevent your collection from toppling over. Made to order in your choice of wood type and finish from a variety of options, this CD cabinet allows you to display your favorite artists and movies amidst solid wood beauty.